Featuring ‘Wadaiko’, the big harmony drum, Rob and his team will stir the spirit and the emotions by releasing the captive spirit and energy of the drum. An evening of good fun to welcome you back to another exciting and eventful year. Julie has been running a successful holistic aromatherapy business for over 14 years. She trained at the Calgary College of Holistic Health in Canada and at Shirley Price international College of Aromatherapy in Hinckley, Leicestershire. Julie has developed an exciting new business called Plant & herb Workshop, specialising in handmade aromatherapy products. Very high quality active ingredients are used, many of which are organic and fairly traded, derived from plants, herbs and flowers. A deeper look at how yoga practices can put us in touch with universal energy. Jayne has been practising yoga for eight years and teaching for three years in St Annes and Blackpool. She also works with Reiki and massage and brings that knowledge to her insights. 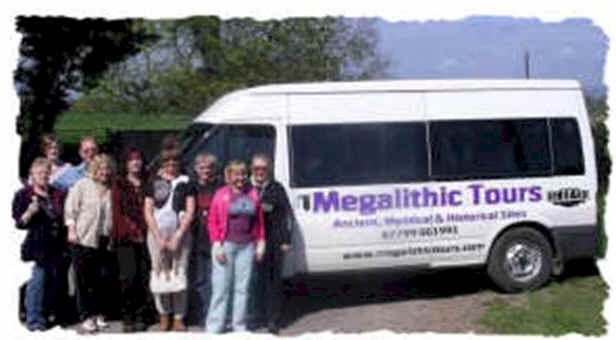 Neil from Megalithic Tours will take us on a circular tour of Ancient, Mystical and Historical Sites, from the Lake District to the Outer Hebrides, the Shetland and Orkney Isles to the Isle of Anglesey. We will discover ancient sacred landscapes in Yorkshire, and Arthurian and Templar connections in North Wales, and much more. An old favourite of New Horizons, on 19 February Dave Starbuck, investigative journalist and editor of Revelation Tapes, celebrates his 70th birthday. He will be speaking about his life and work, followed by a buffet. Dave is the type of person you might read about but seldom, if ever, meet. A presentation by John Birch, showing how, as human beings, we have the capability to not only experience how these two worlds come together, but also how we can make a direct impact on them. The discussion also touches on how the mind operates outside of the brain, intentional conscious thought, and perceptions of reality. Following a trauma the body can remember the event and the emotions. Sometimes these can be buried deep in the brain and in the cells of the body. When we walk the spiritual path these traumas can block our progress and sometimes we need help to heal the past. This talk will show how the body remembers trauma and the techniques to deal with the memories and the emotional aspects of the past. Learning how to ‘put the brakes on’ is a crucial aspect in being able to prevent re-traumatisation. If the brakes are under your control you can process the trauma feeling safe. Mike is an established teacher in adult education in the local area, teaching Tai Chi, a gentle way to exercise. Tai Chi is an ancient Chinese form of co-ordinated body movements focusing on the cultivation of internal energy or ‘chi’, promoting both mental and physical well-being. In the practice of Tai Chi the student becomes revitalised, relaxed, tolerant, self-confident and stronger and healthier in both mind and body. Unlike most forms of exercise and sport, Tai Chi does not rely on strength, force and speed, making it ideal for people of both sexes, young and old alike, whether strong or weak. It is this approach that makes Tai Chi such a unique art and one that brings benefits in many areas. An opportunity to share experiences and ideas in an informal setting in small groups. AP is the point in the body where the life-force assembles in embryo, then, as we grow up, it has its position in the navel and as we mature, it rises to the centre of the chest, its optimum position where it should reside. Shifts in the AP can be caused by traumas of abuse of any kind to the mind or body. However, the AP can be re-positioned, a truly life changing treatment. 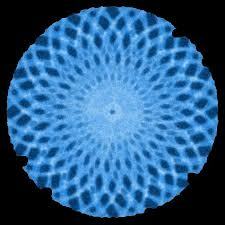 The higher we vibrate as a planet and as individuals, the more magnified everything becomes. When energies increase this way, it can feel as if much is pushing down upon us, creating bloating, intestinal difficulties, stress, with difficulty concentrating or remembering, vision problems, deep periods of sleeping, and exhaustion. Divya shows us how to re-align ourselves. 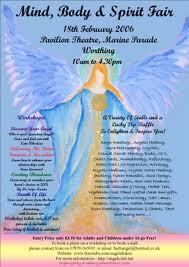 Moira Veevers, an international registered therapist and speaker, will talk about past lives and reincarnation. Spirit is of equal importance to the mind and body, it seeks to identify and heal emotional wounds or blockages that sometimes occur in current or past lives. 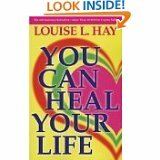 Based on the philosophy of Louise Hay, metaphysical lecturer, teacher and author of 27 books, probably best known for “You Can Heal Your Life” which has helped thousands of people to discover and use their own potential of creative powers for personal growth and self healing. How the environment you are living in affects your overall wellbeing. Achieve balance and vitality in your life, address key areas of wellness: sleep, water, air, nutrition and fitness. Andrew lived and studied in Japan where he discovered the process of bringing about changes in himself and others. He is living proof that with the right attitude and tools we can enhance all aspects of our daily life. Join us for a Mediaeval Mind Body Spirit event, with stalls, readers, a Wish Queen for the little ones, from 10.00 am until 5.00 pm. Entrance fee £2 adults, £1 children, refreshments also available. Sam and Jean Wright have hosted the Probe Conference for twice a year for 16 years and during that time have encountered some strange and sometimes quite bizarre stories, met some amazing people and they do a fantastic job of organising and bringing together so many like minded people at their conference held locally. Sam will share with us tonight some of their experiences. Dowsing is reported to date back approximately 7000 years but origins are still unknown. In Europe, it was known for dowsing to be used in the Middle Ages to find coal deposits. Since this time people have dowsed for everything from lost objects to missing people, some of them are reported to be very accurate although the scientific community as a whole have yet to decide if they support or refute this ability. Eric has been working with dowsing for 20 years, and heals people and sick buildings by tracing earth energies and will demonstrate his abilities tonight. During this evening, we will be taking surnames of everyone for a presentation by Peter Watson in July, who will speak about the meaning of surnames and who will explain the origins of some of these names. The meaning of dreams and where they come from, what do they really mean, are they giving us direction. 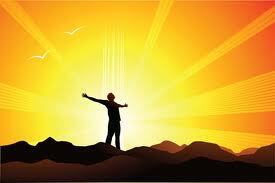 Harness the energy of your dreams to fulfil your life. Simple steps to stay young through heightened awareness, the more aware we are the more we feel, see and hear and become in tune with ourselves and our body to remain youthful. 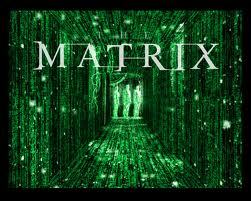 What are the Matrix Films telling us? Michael Hallam will look at the Matrix films as a modern day mythology on the spiritual development of humanity and the future, unpacking many of the levels of spiritual meaning woven in to the story. What are the parallels with our own ‘real’ world and the great threat to our future, to which most of us are blissfully asleep. Perhaps tonight we will begin to wake up and see beyond the dream. Another entertaining talk by Peter gives us background into where surnames come from, what they mean and how they have changed and why, looking at Anglo Saxon and Old Norse, where most names in the UK came from. Many people don’t know the meaning of their surname and at the end of the evening Peter will explain some of the surnames of members previously given to him.  Breath is the bridge that links the outer world of noise and disturbance with the inner space of peace and stillness. Joe uses Shiva meditation techniques, a powerful meditation technique for the 21st Century, a revolutionary breathing method to set you free from fear, worry and depression. Jo has been involved in grass roots campaigning against animal cruelty and environmental destruction for almost a decade. Tonight she talks about the widespread abuse and cruelty inflicted on animals in modern-day factory farms, and how intensive animal farming causes water pollution, habitat destruction and is a major source of greenhouse gas emissions. She also describes the benefits to human health and well-being of choosing an animal-free diet. A short video will be shown. David tells us about some of his encounters with the spirits who share this world with us, is it really like the movies? He will explain his methods and protection techniques which allow him to do his work safely. Can anyone be an exorcist, or is it a case of “don’t try this at home”? Come ready to join in with some energy work, and an experiment which, if it works, will prove that energy really does follow thought. Some weird and wonderful pieces of music will set the scene. Mark is a mind performance coach and consultant and will reveal how to work with cosmic ordering. Mark looks at the now proven link between the mind, vibrations and our physical reality. Over the last five years Mark has been exploring the unseen world of quantum performance, the level at which most profound changes initially occur. Elizabeth is running an awareness project to make people in Europe aware of the environmental issues concerning the Amazon Rainforest, and tonight she will outline the current agricultural, mining and logging practices that are putting the rainforest in danger and make us realise that everybody can make a difference. She will also relate some tragic tales about the people who have tried to help the native people of the rainforest. Enjoy another evening of good fun featuring ‘Wadaiko’, the big harmony drum. ob and his team will stir the spirit and the emotions by releasing the captive spirit and energy of the drum. Do we need psychic protection and if so, how do we do it? Who or what do we need it from? David will show us some of the methods he uses in his work and give us an insight into energy interactions between people and places. David believes everyone needs a basic understanding of how to look after themselves energetically and tonight will pass on ways which we can all use in certain circumstances. Essential information. Shared Earth has been running since the early 1990’s. The aim is to create a spirit of family and belonging by bringing together people from all paths to network in a safe and open environment. They intend to give an overview of their pagan path and hopefully help us celebrate the balance between male and female through dance and chant. An uplifting evening. A review of the events of 9/11, with specific focus on the resulting consequences for the consciousness of humanity, and the resulting consequences for the future of humanity. A Must See presentation from a truly amazing man. The presentation includes a discussion of meditation and yoga, out of body experiences (OBE), the psychomanteam – alive and well and available to all, and induced after death communication – for victims of trauma. Recognise that your past has created your present if you seriously want to grow and change your stress. Joan enables ordinary people to discover the extra-ordinary things that are hiding inside us all, just waiting to be discovered and used. It is your choice to find out how to start recognising what choices are there for you to take and how to choose differently so different things start to happen. A new holistic education for children and adults, which is exciting and alive, and which is firmly based upon an understanding of both the spiritual and physical nature of the human being. Come and find out what this dynamic approach is all about. Essential information for everyone. Stephen has worked in the fields of healing and spiritual development for over 16yrs, he works closely with Tareth from the Tareth Centre in Glastonbury. He likes to present energy work in a very down to earth way and steers away from new age connections. On this evening there will be a group healing circle at the end of the night, and everyone present will receive healing. The evening will consist of a short talk and a question and answers session, individual healing demonstration and group healing circle at the end. Drugs are bad – just say no! Official government stance, but are drugs bad? This talk blows the lid off the myths surrounding drugs, it answers questions such as what are drugs? Who are the biggest pushers? Who smuggles drugs? What is the spiritual connection and why do governments and religions enforce draconian laws about drugs? Everyone takes drugs. Think you don’t? Think again! This holistic approach to healing balances energy systems, identifies vitamin/mineral needs, selects herbal remedies for chronic conditions, releases negative emotions, reduces pain, and more. Wow! Come and see how it works, take part in some demonstrations, and take away some self-help skills. Top speed 80MPH, up to 300 miles between charges and NO FUEL COSTS. Yet all of the brand new General Motors EV-1’s were crushed, shredded and dumped in the smelter. As all this happened just a few years ago the repercussions are still ongoing today. An astounding suppressed information film. Are you on the path of Ascension? Are you willing to prepare yourself, others, and the Earth in ushering the new higher vibrations of pure Love, Light and Freedom? If your answer is yes, this evening is for you. An uplifting evening for all. A look at the subtle ways in which humanity is manipulated and controlled. Who is doing the controlling and what are ‘they’ afraid of. A look at how we are imprisoned – locked out of our own lives. For what purpose? And who is Number One anyway? Maybe we should be manipulated, maybe we can’t be trusted to be who we really are. What do you think? How do you feel about it? Beware! Someone is trying to steal your time! Truly vital information. A traumatic past life or injury can incarnate with the soul into another life. This can cause an area of weakness in the physical body which attracts injury and illness. Past life healing can help to clear these areas and allow everyone to hold more light for the planet. Join us for a Christmas Spirit event, stalls now available. How a change in the law could affect you financially. The subject of ‘Powers of Attorney’ and how to protect your home from being unnecessarily lost to care fees. Also inheritance tax – how to pay less, or none! Truly essential information for everyone, irrespective of your age. Please don’t let the Government steal your money or your family’s money! Come along if you have read about Sacred Geometry, the pyramids and want to experience the energies of this 7th dimensional tool. These experiences will be a state of no mind. There will also be other tools to experience. So wherever you are, come along and move forward. An informative and enlightening evening. Come and join us for a fun filled closing ceremony with the welcome return of the Shared Earth Group, celebrating through dance and chant. Then enjoy the hospitality of a hot supper provided by New Horizons, giving us all the opportunity to share in the season’s goodwill and festivities. A vibrant presentation promises a lively evening to end the year.